The Asha series brings in (somewhat) the experience of Smartphones to feature phones. Due to its affordability and features, there is a wide range of phones available in Asha range suiting different needs (Touch, QWERTY or both) of different people. But, Asha phones or other s40 phones are not true smartphone. They lack many features, one out of those is Screenshot capability. Availability of Screenshots makes sharing and explaining the screen easy. Whether you need help with your phone or offering help to someone, using screenshot in explanation can be very handy to explain the procedure. It is not possible to take Screenshot of your screen on the phone itself, but it is possible by making use of a computer. All you need to do is to connect your phone to computer using a Data Cable and the Nokia Screen Dump tool. Connect your Nokia Asha or other s40 phone to the computer using a Data Cable. 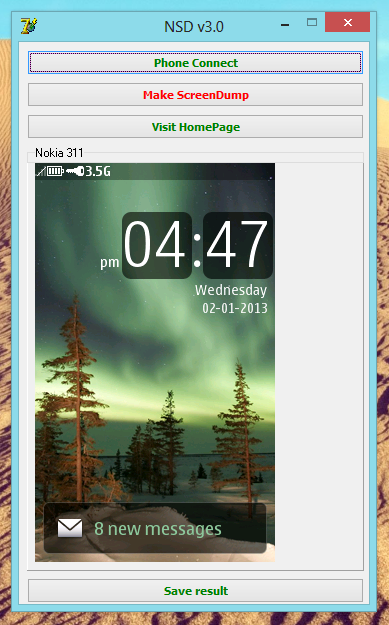 If prompted, select the Nokia Suite/Nokia OVI Suite/Nokia PC Suite mode on your phone. Make sure that you exit Nokia Suite on your computer if it is open. 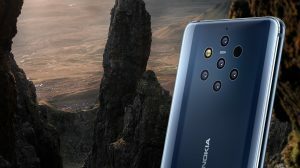 Open the appropriate version of Nokia Screen Dump (NSD) utility that you downloaded in Step 1 and click on Phone Connect. Your connected phone will be recognized and connected. Once connected, you need to click on ‘Make ScreenDump’. Your phone’s screen will be captured and a preview will be shown in the NDS window. Finally click on ‘Save Result’ and select the destination folder to save the captured screenshot as an image file on your PC. No. There is no way to screenshot your phone directly from the phone. I have done all the procedure.. Now tell me how wil i take a screenshot of a page while i browse on net like other android/window user ??? You need to connect it to the PC and use the NSD utility to capture the current state of your phone’s screen. You cannot do that directly on the phone, unfortunately. I forget my security password in my nokia asha 308. My mob. Is open but when i want to do in security the system need to old password. But i forget old password. Now what can i do to reset my nokia asha 308 settings without password ??? hello sir . plz help me what to do now with my nokia asha 501 it is shutting down atomatically whenever i having been calling or using internet or listening music ..
is it the problem of battery or handset _? i couldn’t even download nsd 3.0 in my phn. Its not applicable on my phn. Wt to do..
in nokia 502, by tapping twice, are the screenshots of whatsapp captured only?? Yep. Only happens in WhatsApp. 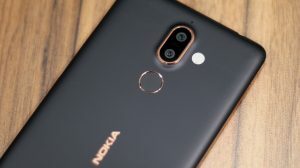 I saw many screen shot of my chat with friends on my photo album……i didn’t know how i mistakenly did it while chatin wit my nokia asha500…..pls, can u lead me without connecting it with pc? I would love to save my chat screen shot. Thanks. Are you able to provide an updated link for NSD 3.0? 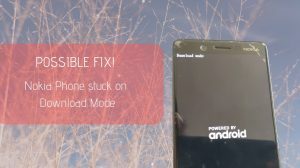 also trying with Nokia 5233 but the problem is same.after connecting “no Screen showing up”….as connection is showing that following model is connected. i am trying with Nokia Asha 201 but can’t able to see the window tried with all version of NSD like 2.0,3.0 and 1.2/. Do you have Nokia Connectivity Cable Drivers installed? i do have the Cable SW and PC Suite Installed in mine laptop. problem is after connected it not show the mobile Screen in the SW it self and coming with no screen . As i using the Asha 201 and Nokia 5233 but hard luck no success …i am missing something here plz require yoer expert opinion. It will only take a Screenshot when you press the Make Dumb option. Make sure that Nokia Suite/PC Suite is not running the background as you do this. Exit it via the icon in the status bar. I followed the steps as you mention in this post but after clicking the Connect it’s shows the Phone model n then i click the “make Screen Dump” option but after this it’s shows the Resolution and no picture is coming on the window. and during the whole process there was No PC Suite/Cable driver was in background. Tried with NSD 2.0 and 3.0. And the phone’s screen was turned on as well? I am using the ASHA 201 and need solution for the Screen-shot capture in phone or othe way around. Above described solution is download files are not opeings . Apperciated if you culd provide the way forward. There is no way to capture screenshots on the new Nokia Asha series. There is no way to take screenshots on Nokia Asha devices. I updated my Nokia asha 502 and now I am having some screenshots in gallery which I din’t take. I want to know how is this happening. Help me. Are they really screenshots? Because taking screenshots in Asha is already not supported. Are they all from WhatsApp or some other app too? i am using asha 308. nothing happened when i pressed phone connect or screendump. will this workout for my mobile? Thanks, do you know how to connect my nokia asha to internet using my computer’s internet connection? If you have a wifi receiver in your pc, you will be able to create a hotspot. Else, there’s no other way. You should somehow create WiFi connection. Its clean though. Just unwanted maybe. It does not install or add anything into the system. Hi, thanks for this tutorial I was able to make my own tutorial to make screen shots using my Asha 210 without the use of Nokia PC Suite, check the tutorial by clicking on my name. The only reason for having Nokia Suite is the need of Connectivity Cable Drivers. I feel that every Nokia user usually have Nokia Suite installed so no need to add the connectivity drivers. Anyways, nice post. You need to look closely then. See the screenshot. Hey, I use a Nokia Asha 311 and have Nokia PC Suite V7.1 installed in my laptop. I tried connecting to internet using my phone as a modem through ‘One touch access’ , it did detect my network provider but the connection failed, stating a reason that ‘either the modem is being used by another app. or isn’t configured properly’. Please, can you help me with this problem. what about skype for asha 501? why this is not running with my Asha 308 . i did all the things as you said . Thank you very much! It worked for my Nokia Asha 311 just fine! I used version 3.0 and it worked only after I closed Nokia suite in my computer. Awesome, thanks again! Won’t work on the 501 brother. Its a different platform. Then disable your antivirus. Its not a virus, rest over to you. Decide for yourself. Thanks! Works very well on my Nokia 302, after i opened opera mini, it detected my phone and i have been able to take screen capture of anything. Thanks! yes, me too. NSD isn’t work for my nokia asha 311. i don’t know how to fix it. Its working brother. Do you have Nokia Suite installed? make sure it is, but not running in the background. I dont understand what is the adventage of screenshots plz tell me about the adventages? NSD unfortunately doesn’t work with my nokia 301. Any help would be greatly apreciated!! Please help me, my original mail icon where i have access to my mails is not working. Anytime i try (application error try again later). Now it has vanish i can’t see it anymore. Now if i want to access my mails unless i go to the net. Please how do i get back? Visit nokia care and get the phone software re-installed. Well, that’s kinda common with S40 phones. When they use up all of their RAM or if there’s an error in memory, they’ll restart. There isn’t any other way. Dunno why this didn’t work as it worked on a 311. Make sure you’re using NSD 3 and Nokia Suite (or at least connectivity drivers) is installed on your PC. Next make sure Nokia suite does not run in the background an d select Nokia Suite mode on your phone when you connect it to the PC. What to do ? I really need the screen shot for my Nokia Asha 306 ! Is there another way for it ? That’s what this article is all about. Read! Good work buddy, I have been searching for this for my tutorials on mobile phones. Thank you for sharing. Thanks for finding the time and letting me know 🙂 Enjoy! I’m using Nokia asha 311, sometimes my phone restarts all of a sudden,dono why…it’s causing lot of pblm…any way t fix it??.. My phone is c3-01 and I used NSD v2 but it didn’t work but v3 worked for me. Hehe 🙂 You’re more.. Thanks for the comment. Thanks a lot! I’ve been trying to take screenshots of Nokia Asha 302 from NSD 2.0 in the past but it never worked. Thanks for providing this, it is working perfectly with NSD 3.0! By the way, I’ve a cell of QMobile series, Q5 it is. Can this app work with it too? I haven’t checked it yet. P.S: I was getting the same problem like the person above mentioned, clicked “connect phone” but it didn’t work. Then I opened Opera Mini and tried to connect it and now it is working fine! No Idea why it didn’t work. Even the Asha devices released after that are working fine with it. Can you try the 2.0 version of the NSD? There’s a chance that it will work. For the rest, please make sure that you have the latest version of Nokia Suite installed on you PC, but it shouldn’t be running in the background. There are no battery savers for these java phones. They already eat a very little battery.